. . . [a] beautiful recording featuring a thoughtful young pianist.
. . . a partnership that audibly works very well . . . There's tremendous maturity in terms of the sweep of the concerto's opening movement, albeit coupled with an infectious glee . . . A sense of exploration permeates all the performances here, too; the first-movement cadenza is particularly imaginative in that regard, while simultaneously sounding utterly natural . . . Pappano's experiences in the opera house feed into the mix, too, both dramatically and also in an almost vocal style of phrasing . . . [in the Intermezzo] Lisiecki is graceful without being contrived . . . Lisiecki's finale is also impressive, making enough of the rhythms without overemphasis (try from 6'05" to sample the litheness of the interplay between soloist and orchestra); Pappano and the soloist seem in complete musical accord . . . the "Allegro appassionato" section has a real sweep, the interplay between soloist and orchestra again unerring; it's hard to believe that Lisiecki doesn't have decades of experience behind him in this regard . . . A natural recording captures this imaginative spinner of musical tales to excellent effect. And the disc is rounded out with a touchingly confiding "Träumerei". Lisiecki's account of these works, with their demanding variety of expression and intimate dialogue between soloist and orchestra, is extraordinarily mature and subtle for one so young. His playing is virtuosic, but also always undemonstrative and perfectly blended with the orchestra. Throughout Lisiecki is accompanied by the Orchestra dell'Accademia Nazionale di Santa Cecilia and Sir Antonio Pappano . . . their partnership is an extraordinarily successful one and their rapport evident. From the dramatic opening bars of Schumann's A minor concerto, the young Canadian pianist arrests the ear with the impetuosity of his attack . . . Lisiecki, encouraged by Pappano and his Roman orchestra, lurches turbulently between a driven ecstasy and a state of reverie. It's a surprising but fresh interpretation . . . Although unconventional, the pianist's thoughts about this music are audacious, and it's dazzlingly played.
. . . [this new recording of Schumann's Piano Concerto] immediately strikes the ears as something special -- special in its artless sensitivity as much as in its limpid warmth and its focused virility . . . it reveals all the like-minded shaping of phrases, communicative power and instant rapport between soloist and orchestra . . . the Introduction and Allegro appassionnto encapsulates all the winning interpretative qualities that radiate out in the other two works as well. First there is the beautifully subdued bloom of the orchestral playing and the rippling luminosity of the arpeggios in the piano part . . . the music flows seamlessly, its ebbs and flows judged to a nicety. Then in the Allegro, incisiveness in both the orchestral and the solo part is tempered by a genuine, thoroughly unmannered romantic impetus and by a spectrum of colour and a shading of dynamics that are not only apt but also arrestingly fresh-sounding. The inwardly searching atmosphere that Lisiecki brings to the start of the Introduction and Concert-Allegro is especially touching and is something that equally haunts the central movement of the concerto . . . this is a wonderful Schumann disc by a pianist of outstanding gifts.
. . . [Piano Concerto]: a very convincing performance, thoughtful and searching. Lisiecki's Schumann is so natural and unforced that his playing does not come between composer and listener . . . There are many attributes of this performance; excitement, communication, delicacy and tonal beauty. It is such a perfect blend and unanimity of soloist and orchestra that it sounds as if were executed by one mind. There is cross inspiration between piano and the solo instruments of the orchestra, particularly the creamy winds that, in spite of perfect ensemble, still sound spontaneous. The recording is a model of a naturally balanced soloist and these delectable orchestral textures. The two shorter and less familiar, later-concerted works -- "Introduction and Allegro appassionato Op.92", "Introduction and Concert Allegro Op.134" -- receive similarly attentive performances, making this release even more attractive. Time stands still during the little encore, "Träumerei", adding a thoughtful adieu on this attractive CD.
. . . [Lisiecki's account of the concerto takes advantage] of the music's intermittent licence to dream; his touch has a chaste beauty, with no hint of histrionics. Fine support from Antonio Pappano and his Accademia Nazionale di Santa Cecilia orchestra allows him to generate a sweet spell in the Intermezzo, and in the finale he finds a nice balance between intimate lyricism and bounding exuberance, asserting dominance as he romps playfully home . . . in his hands the rarely-performed "Introduction and Concert-Allegro", Op. 134 works brilliantly: spectral at first, finally with a tormented nobility. The encore -- from "Kinderszenen" -- is a gentle reminder of the artistry which first put Lisiecki in the limelight three years ago. Lisiecki unfurls melodies that stretch their limbs with yearning over arpeggios rippling with crystal clarity. Pappano hustles the tempo along, getting spruce playing from his Orchestra dell'Accademia Nazionale di Santa Cecilia. Alongside, Schumann's other, less familiar works for piano and orchestra are a welcome bonus, singing with free-flowing, improvisatory flair.
. . . [Piano Concerto]: the 21-year-old Lisiecki captures all of its impetuosity, self-indulgence and dreaminess. With a sure sense of theatre, Pappano seeks out the drama . . . Lisiecki is not afraid to elongate or delay, nor to emphasise inner voices or give prominence to small gestures. The result is not mannered; rather, the melodies unfold soulfully, complemented by some lovely interchanges with the orchestra . . . Pappano is alert to every subtle rubato and relishes the music's constant shifts of gear . . . Even the most robust passagework is buoyant, never heavy or swaggering. Pappano takes care to ensure that the imitative interchanges within the orchestral texture are clearly voiced, and the complex syncopations and displaced accents are rock steady . 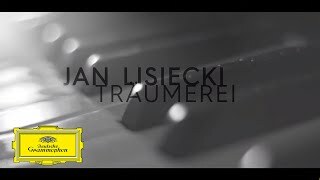 . . Lisiecki offers "Träumerei" as a palate-cleansing "encore" . . . Characteristic of the whole disc, this miniature blends youthful freedom with mature thought. His account of the Schumann Concerto in A Minor is exceptionally lyrical and almost quietist . . . insofar as Lisiecki phrases with great sensitivity, his reading is a success . . . Lisiecki approaches the rippling passagework in the short (three minute) elegiac Introduction to the op. 92 "Introduction and Allegro appassionato" with very beautiful playing, matched by the Santa Cecilia Orchestra of Rome that Pappano has lovingly built into a first-rate ensemble . . . [Schumann / Introduktion und Allegro]: Lisiecki and Pappano give their all; this is the most passionately played piece on the program. Their energy and exuberance are more winning than the music itself. As a solo encore we get "Traümerei", and although it's endlessly played, here is a reading to convince any listener that this young Canadian phenomenon has a refined, intuitive musical gift. His phrasing is at once innocent, effortless, limpid, and moving. The yellow label has an unmatched track record in picking pianists with great promise, and Lisiecki is no exception. Die Tutti im Allegro appassionato des G-Dur-Stückes werden stolz, doch edel geschmettert, die Balance von Solo und Orchester ist perfekt . . . Kurz: Diejenigen werden Lügen gestraft, die dem Komponisten immer noch Schwächen in der Instrumentation unterstellen. Sie mögen fortan auf ewig schweigen. Um Geschmeidigkeit bemüht - das soll keinesfalls als Kritik seiner spieltechnischen Anlagen verstanden werden - profitiert Lisiecki vom kraftvollen Dirigat Antonio Papanos mit dem Orchestra dell'Accademia Nazionale di Santa Cecilia. Dass der Dirigent selbst vom Klavier kommt, ist gelegentlich spürbar, während der junge kanadische Pianist mit polnischen Wurzeln diese Komposition eher als Zusammenstellung verschiedener Sätze begreift. Das emotionsgeladene Konzert-Allegro mit Introduktion in d-Moll für Klavier und Orchester op.134 verdeutlicht dann, warum Jan Lisiecki bisweilen als der vielleicht kompletteste Pianist seines Alters bezeichnet wird. Beeindruckend ist vielmehr seine absolut außergewöhnliche interpretatorische Reife. Lisiecki ist gerade einmal 20 Jahre jung, aber er durchdringt auf seiner dritten CD-Veröffentlichung Robert Schumanns Klavierkonzert mit enormer Klugheit - und einer Sensibilität, die Staunen macht. Das Aufeinander-Eingehen von Pianist und Orchester besitzt hohes Niveau. Zudem gibt es hier einen höheren Repertoirewert als bei den sonst üblichen Schumann-Grieg-Kombis, weil die Klavierkonzert-Experimente op. 92 und op. 134 optimal verwirklicht werden. Lisiecki besitzt eine phänomenal perlende Anschlagskultur (mit einer starken linken Hand), und da er seine Jugendlichkeit in Schumanns Leidenschaft einbringt, gewinnen diese Werke durch schön phrasierte und ausdrucksvolle Passagen viel von ihrer Frische zurück. Seine jetzt vorliegenden Robert-Schumann-Aufnahmen - mit dem berühmten Klavierkonzert in a-Moll - sind zupackend gespielt, makellos interpretiert. Der junge Kanadier und Antonio Pappano haben sich auf eine jugendlich-vorwärtsdrängende, aber nie vordergründliche Lesart von Schumanns Klavierkonzert geeignet - hier hat auch das Poetisch-Erzählende genügend Raum, Pappano und das glänzend disponierte Orchester führen mit Lisiecki einen sinfonisch verdichteten Dialog. Das Schumann-Spiel des jungen kanadischen Pianisten fasziniert durch eine besondere Mischung aus jugendlich-frischer Klarheit und poetischer Tiefe. In kammermusikalisch inniger Verbindung entfalten Jan Lisiecki und das Orchestra dell¿Accademia Nazionale di Santa Cecilia unter Antonio Pappano einen intimen Schumann-Dialog. Und so überzeugt auch sein Robert-Schumann-Album vor allem durch eine erstaunliche Übersicht und Gelassenheit. Das perlende, federleichte Klavierspiel wirkt wie selbstverständlich, drängt sich nicht auf. Jugendliches Ungestüm und schroffe, reißerische Gesten sind Lisieckis Sache nicht. Der junge Kanadier und Antonio Pappano haben sich auf eine jugendlich-vorwärtsdrängende, aber nie vordergründige Lesart von Schumanns Klavierkonzert geeinigt - hier hat auch das Poetisch-Erzählende genügend Raum, Pappano und das glänzend disponierte Orchester führen Lisiecki einen sinfonisch verdichteten Dialog. Das Schumann-Spiel des jungen kanadischen Pianisten fasziniert durch eine besondere Mischung aus jugendlich-frischer Klarheit und poetischer Tiefe. In kammermusikalisch inniger Verbindung entfalten Jan Lisiecki und das Orchestra dell¿Accademia Nazionale di Santa Cecilia unter Antonio Pappano einen intimen Schumann-Dialog. Diese musikalische Innenschau des populären Klavierkonzerts wie der beiden weniger bekannten Konzertstücke für Klavier und Orchester ist mit ihren feinen Nuancen absolut hörenswert. Das ist einerseits populäre Musik, die leicht ins Ohr geht, andererseits aber auch die außergewöhlich fruchtbare Zusammenarbeit eines unverbrauchten, heranreifenden Künstlers mit einem Dirigenten, der den jungen Mann fordert, fördert und dabei glänzen lässt. Tatsächlich ist der Dialog zwischen Jan Lisiecki und dem Orchester bemerkenswert plastisch. Antonio Pappano ist selbst Pianist - und das macht sich bei seinem Dirigat bemerkbar. Ihre gemeinsame Klangvorstellung kommt vom Klavier: das, was das Klavier vormacht, nehmen die Musiker um Pappano auf. Und an anderer Stelle unterstützt das Orchester den Solisten mit den Klangeffekten, die das Klavier rein physikalisch nicht erzeugen kann. Als echtes Schumann-Orchester erweist sich das Orchestra dell¿ Accademia Nazionale di Santa Cecilia. Die Tutti im Allegro appassionato des G-Dur-Stückes werden stolz, doch edel geschmettert, die Balance von Solo und Orchester ist perfekt. Dazu erfreuen herrliche, innig ausgesungene Bläsersoli. Kurz: Diejenigen werden Lügen gestraft, die dem Komponisten immer noch Schwächen in der Instrumentation unterstellen. Sie mögen fortan auf ewig schweigen. De nombreux éléments séduisent dès la première écoute du concerto: musicalité de premier plan, le canadien insuffle une vitalité fougueuse à la partition. L'entente avec Antonio Pappano est ici constante. Sa direction homogène suit les intentions du pianiste et met à l'honneur les bois particulièrement en verve. L'orchestre rutile, les élans sont tour à tour tendres ("Allegro Affettuoso") et empreints de fraîcheur jubilatoire . . . Dans "l'Intermezzo", l'expression est délicate . . . La prise de son avantage sensiblement l'orchestre et place parfois le piano en retrait. Rarement entendue, "l'Introduction et Allegro appassionato op.92", laisse entendre une interprétation virtuose "à l'énergie" mais aussi des parties plus légères et contrastées usant de son toucher délié . . . Au final, il s'agit d'un couplage intéressant qui nous permet de redécouvrir des pièces oubliées du répertoire schumannien. Les sonorités chambristes, les contrastes dynamiques, les solos instrumentaux (écoutez par exemple la transition flûte/violon à 6' 24", dans le premier mouvement), le grain de la texture orchestrale, le lyrisme des phrasés, tout est admirable et pertinent. Le piano de Jan Lisiecki se déploie dans cet écrin idyllique avec l'élan agile d'un danseur. Il ne cherche pas la surenchère dans la puissance sonore, ne convoque pas des basses sculpturales . . . Le dialogue avec l'orchestre est finement contrôlé . . . Dans l'Opus 134 dédié à Brahms, on admire la fluidité du soliste, le caractère faussement improvisé des arabesques, le sentiment de liberté qui se dégage d'un piano virevoltant. En particulier, la cadence apparaît comme un modèle de finesse et de grâce aérienne . . . [son interprétation poétique dans l'Opus 92] dessine un chemin lumineux dans cette partition aussi fiévreuse que sensible . . . la "Rêverie des Scènes d'enfants", jouée assez rapidement, sans exagération introspective, mais avec une remarquable palette.